Is this the turning point for the bullpen? Yes, its one game. Yes, it was one game in a regular season 162 games long, with a team playing in an abhorrent division that they’ll probably win by 20 games irrespective of what happens. But, at the same time, last night’s debilitating 6-5 loss, featuring a 3-run ninth from your opening-day closer Blake Treinen seemed different. Why? Because it blew a game against a playoff contender, a team that the Nats very well may face in the first round of the playoffs if the season plays out as expected. Because this wasn’t just a run-of-the-mill regular season game; this was one of those statement series that this team faces where it can measure up against last year’s champion and determine where they stand in the NL pecking order. The team s hould be walking away with a dominant series win, having outscored the defending WS champs 22-12. Instead they concede a split series that ended with a ton of frustration. The loss last night (per Byron Kerr‘s twitter status) now represents the SIXTH time in 79 games this year that the bullpen has blown a 9th inning lead. That’s only slightly worse (92.5% conversion rate) than historically is to be expected (about 95% per Joe Posnanski research), but in the era of the closer … you’d expect better results. The hitters are already grumbling. As noted in this weeks’ Tom Boswell chat (and subsequently picked up by Craig Calcaterra in Hardball/NBCSports blog), players are getting pretty frustrated that they are beating teams for 8 innings only to lose it in the 9th. And with good reason; if you’re facing a Cy Young quality pitcher and are in a position to beat him (well, beat his team that day, even if you couldn’t do jack with Jon Lester himself), then you HAVE TO WIN that game. You can’t have your starters going 120 pitches and trying to pitch complete games every night because you can’t trust a single member of your bullpen. Hell, they even got a quality start plus from Joe Ross! You can’t waste those! Normally Ross needs the offense to score him 12 runs to win. 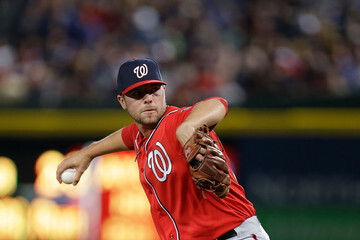 I saw the result last night and the first thing I thought was, ” I wonder if they’ll DFA Treinen.” This is the same team that layered Drew Storen after high profile post-season meltdowns; was Ted Lerner in the crowd last night? What value does Trienen give the team right now? He’s got a 1.7whip, an ERA north of 6, and clearly can’t be trusted with the ball unless its a low-leverage situation. I’m sure it won’t actually happen, thanks to the general health meltdown out there and the clear lack of options on the farm. But at some point, you have to think out side the box. They were thinking outside the box moving Erick Fedde to the pen; guess what? Its time. I’d also start thinking about other AAA starters out of the pen while the two closer-retreads they’ve just signed (Francisco Rodriguez and Kevin Jepsen get fitted for uniforms and throw a few innings in AAA). Call up guys from AA straight and DFA the deadweight that you know you don’t trust that’s sitting in AAA . You hate trading from a position of weakness, but its time to start working the phones and cashing in assets. 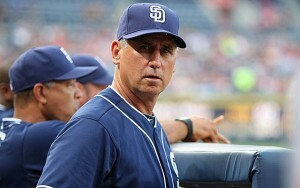 I’ve preached patience for this bullpen, and I just ran out of it. ps: the larger news on the night of course is the Trea Turner injury. That’s a bad piece of luck … but its also why we got back Stephen Drew. My initial thoughts on Turner’s hit are these: its not season ending, we have a 9.5 game lead in a division were nobody else is really even trying, we’ll be fine. He’ll be back for September when it counts. Fix the bullpen. Scherzer is your 2015 opening day starter. Photo via Scherzer’s twitter account. So, I’ve been quiet on the blog front lately. Not much to write about right now, other than the injury bug that seems to be going around camp. 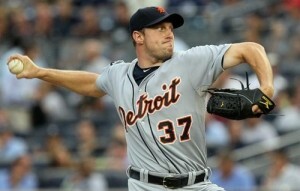 Max Scherzer named the opening day starter; I guess that’s news for a Monday. Lets peek at today’s Tom Boswell 3/23/15 chat to see what kind of questions he fielded. Despite it being post-March Madness, there’s still some baseball talk going on. As always, I answer here before reading Boswell’s answer and edit questions for clarity. Q: Say the Nats are under .500 after a couple of weeks. Will a full-scale panic start, or are team and fans’ nerves stronger than that? A: Maybe the media’s panic will set in, but probably not the fans. If the team is sub .500 after two months … you’d have to start asking some questions. Same kind of questions we asked basically all of 2013. Of course, that being said, the Nats’ early-season calendar isn’t exactly challenging: 10 of their first 11 series of the year are against teams that were sub .500 last year. Now, we are expecting some of these teams (especially Boston, San Diego, Miami) to be much improved from last year … but the point remains. The team has no excuse to not come out of the gates firing. 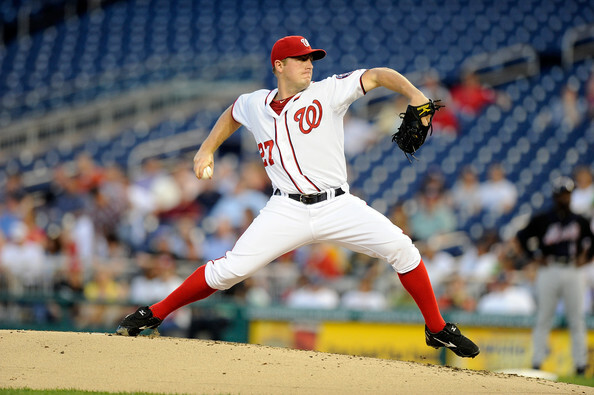 Boswell notes that if all the current injured Nats remain hurt on 4/1 … that fans will expect a long April. He then goes on a long tangent about how screwed up the Dodgers are right now. Q: Notwithstanding Taylor’s excellent weekend; I don’t understand why Williams would bat him lead-off (regardless of Taylor’s leadoff “skills”) but wouldn’t bat Harper higher than sixth. Does Williams have a double standard for prospects not named Harper? A: A good question. 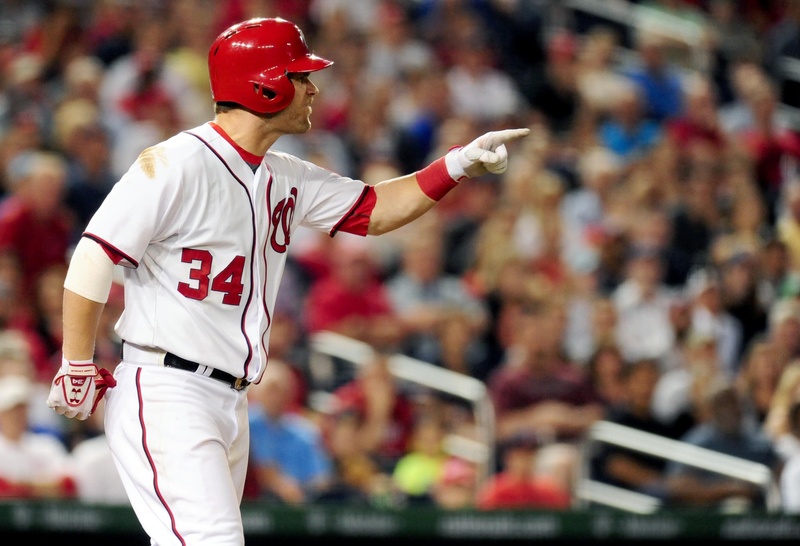 Certainly some people have questioned Matt Williams‘ ongoing public criticisms of Bryce Harper. Why call him out, in the media, for his supposed transgression of baiting the runner into trying for second? Dude; its the 2nd week of March; it isn’t a big deal. Except by calling him out in public, it *becomes* a big deal since Harper is such a lightening rod in the National media (deserved or not). My two cents: there’s no lack of evidence coming out of the Arizona Diamondbacks organization over the last few years about the institutional bull-headedness concerning “the right way to play” and other old-school baseball idioms, and it seems to me that Williams has continued his dogged old-school ways as the on-field leader of the Nats. Is this a good thing? Probably not. Harper is talented enough to back up his actions (see last year’s NLCS when Harper was one of only two Nats hitters to bother making the trip to SF). But will this conflict become a distraction? Will it drive Harper from this team eventually? Sorry for that tangent. To answer the question at hand; with Denard Span out, *someone* has to bat lead off, and if you’re an “old school” guy who do you pick? Do you pick the skinny, fast center fielder? Or do you take a smarter look at your hitter capabilities? I guess we’ll see. Boswell says that Taylor batted leadoff in the minors, so he’s ok there. Uh; the bush leagues playing infront of a few hundred people isn’t quite the majors. Oh, and Boswell conveniently “explains” why Harper was batting 6th too. Williams, the old-school manager for the old-school baseball writer Boswell. Q: Why is Pete Rose back in the news with regard to reinstatement? A: Because new commissioner Rob Manfred was dumb enough to engage Pete Rose‘s request? The Dowd report was a pretty galling chronicle of Rose’s activities. I think Rose appears as a sympathetic figure because of the ardor to which former commissioner Bart Giamatti pursued his penalty. I too was sympathetic to Rose, feeling like baseball went far out of its way to rid themselves of him at the time. But, now with time and retrospection, Rose’s sins were pretty bad. I think the best way for baseball to deal with the likes of Rose, Shoeless Joe Jackson, Barry Bonds, Mark McGwire, Roger Clemens and perhaps others will to eventually create a special election with large caveats to their enshrinement. Yes these players were among the best in the game … but broke cardinal sins against the game. Imagine a veteran’s committee designed to create a permanent special exhibit in Cooperstown dedicated to great players who have clouds surrounding their names. I dunno. The cynical part of me says that the museum based in upstate New York has no incentive to *ever* stop the rhetoric surrounding these guys. It gets tiresome to argue about the *same things* over and over … but we do it anyway, year after year. Boswell coincidentally advocates for Rose for the HoF but not an active role in the game. Q: With the Nats celebrating ten years in the District, do you have any random memories that stand out since they’ve been in town? A: I put out a post periodically that talks about “Best games” in Nats history. This question kind of feels like the games captured in this post and in the comments. No need to re-answer. Q: Who deserves the opening day start? 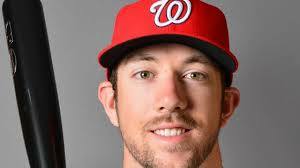 A: You can make a pretty cogent argument for any of the three of Strasburg, Scherzer or Zimmermann. Strasburg since he’s gotten three straight such starts and normally you don’t replace the home-grown “Ace” of a team. That’d be my choice and my argument, coincidentally. Zimmermann b/c of his no-hitter last year and generally accepted stance as the “actual” best hurler on the team. But its now known that Scherzer is getting the nod (not a real big surprise once you saw how the rotation was laid out starting from early spring). For me (as noted in the prior thread’s comments), Scherzer is the only guy with a Cy Young to his name, so it isn’t surprising that players’ manager Williams goes with the veteran with the most career accomplishment in that ceremonial spot. Works for me; we just bought our opening day tickets (we’re in section 131 I think) so I look forward to seeing him pitch. 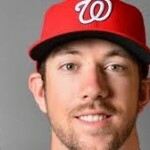 Boswell says that Strasburg’s sore ankle cost him the spot. BS. Q: With the likelihood of multiple starters starting the season on the DL, how do you see that effecting the bench players on the roster. A: We’ve talked about this before, but clearly it means that at least one, perhaps two NRIs are getting opening day jobs. And it means that some options-limited guys are getting shots too. If Span is out a month, Werth can’t make opening day, if Rendon is down and out, if Escobar can’t get enough reps … that’s a lot of spots to fill. For me, just guessing, i’d say the team heads north with Tyler Moore, Tony Gwynn Jr, Michael Taylor and maybe Ian Stewart to start the season. Dan Uggla? Numbers are good; lots of walks. But he can’t play 3B (not well, presumably) and its 3B where the team might need some cover. Boswell is more bullish on Uggla, thinking he’d be a huge steal. I dunno; can’t play SS, doesn’t bat lefty. Q: Are there going to be any longer-term impacts to demoting Tanner Roark to the bullpen? A: Maybe. Is it a coincidence that Roark has the worst starter stats of any pitcher this spring? Probably not; spring training NRIs have a tendency to be uber aggressive, and minor league defenders aren’t always adept at catching the ball when playing out of position. Maybe not; Roark’s attitude has sounded great, and he’s hopefully being told that he’s first in line and likely will get a big number of starts filling in for the inevitable injuries. He’ll have his rotation spot back next year for sure. Boswell doesn’t think so. 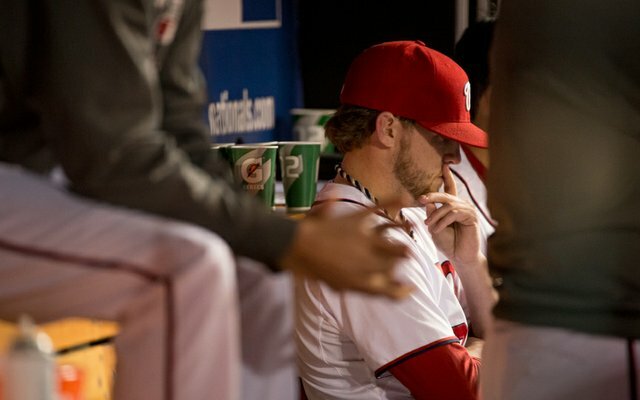 Q: If the Nats don’t make it out of the first round of the playoffs this year (assuming they will make it), do you think the fans develop the same anxiety that Caps fans have over the years? A: Yes. Two playoff appearances, two “best record in the majors” and two impotent first round exits to wild cards. If the Nats fail in 2015, then yeah we may begin to wonder what’s going on. Boswell points out that the Caps have one of the worst track records in professional sports. Q: What is your opening day lineup (including who leads off) given the injury spate? Escobar-Desmond-Harper-Zimmerman-Ramos-Moore-Frandsen-Taylor pitcher. Escobar at 2B, Moore in LF, Frandsen at 3B and Taylor in CF. Not a great lineup. A better assumption is that Rendon and Werth will make opening day, which makes the lineup a lot easier. Escobar-Rendon-Harper-Zimmerman-Werth-Desmond-Ramos-Taylor-pitcher. When Span returns, put Escobar at #8 and that’s that. Boswell doesn’t give a leadoff-suggestion, but using induction by reduction, he’s likely pushing for Escobar at lead-off too. Q: Is it time to cut the cord on Espinosa? A: Not until you find someone else who can play short stop in a pinch who isn’t already slated to start. Boswell gives a non-answer too. I don’t feel bad. In case you weren’t aware, Clayton Kershaw is really good. Photo via wiki. 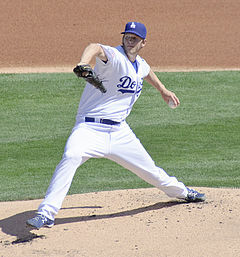 Ergo, the Dodgers are really beatable when they don’t throw Kershaw. This sounded like a great stat. Until you dive a little deeper and you do the same analysis for our own first place/better record than the Dodgers team. Pretty compelling, eh? They’re a losing team when not throwing one of their two aces in Kershaw or Hyun-jin Ryu. Surprisingly, the team under their supposed #2 Zack Grienke sports just a .500 record on the year through 27 starts despite his known quality. All others besides Zimmermann and Fister: 46-43. Hmm. So, much like the Dodgers, if you play the Nats and you’re not facing one of OUR two best pitchers, we’re basically a .500 team. I guess the point is this: in a sport where a team that is winning 57% of its games has the best record in the majors, the margins for winning and losing are pretty slim. Or maybe the point is this: you can use stats to support pretty much whatever hypothesis you wish to postulate. I think everyone knows that beating Kershaw is nearly impossible, and facing him twice in a short series may be the difference between advancing and going home. But then again, this is the same Kershaw who has (believe it or not) a career 4.23 ERA in the post-season and got hammered by the Cardinals for 7 runs in 4 innings in last year’s NLCS. I guess that’s why they play the games. But, I think it is also safe to say that the series in Los Angeles showed why it’d be one heck of an NLCS if the seedings held and the two top NL teams held form in the divisional series. Lets hope it comes to pass. (Yes the post is ESPN Insider only; if you don’t get ESPN insider then ask yourself why you’re not willing to spend $3 a month for access to quality baseball writers like Dave Symborski, Keith Law, or Buster Olney, as well as access to the whole slew of scouting content from Law’s staff… and that’s just their baseball stuff. $3/month; I spent more than that on my bagel this morning. And if you’re in that whole “anti paywall camp” and believe that God intended that everything on the internet be for free … well I guess I’d just say sometimes you get what you pay for. And to me, ESPN’s insider content is worth the 10 or 11 cents a day that I pay for it. Rant off). Basically, Law questions whether Matt Williams is in over his head as a major league manager right now. Law questions his lineup choices (as others have repeatedly, especially when the team’s best power hitter his batting 7th. Which to be fair he only did once, but Harper’s been batting 6th for a good portion of the season too, only really moving up when Ryan Zimmerman went out with injury). I too question his lineup choices; why the h*ll is Denard Span still batting leadoff? If Williams felt the need to move Harper to 7th because he was struggling, why hasn’t Span been dropped either? Isn’t Span “struggling” too? Yeah; he’s got a .282 OBP right now and has fewer stolen bases than the 35-year old Jayson Werth; why exactly is he still batting leadoff?? Law also questions Williams’ public bashing of Harper’s hustle. Which led, among other things, to Tom Boswell‘s outlandish claims in a chat two weeks ago that Harper was purposely asking out against tough hitters to maintain a meaningless 9-game hitting streak. Did anyone actually watch the games surrounding the hustle incident? To me Harper was clearly favoring his leg, and he had been frustrated at the plate, and by multiple reports was also struggling with the flu. Maybe everyone would have been happier if Harper had just frigging sat out a couple of games instead? So he didn’t run out a come-backer; that’s human nature. Law correctly points out that only Harper has been bashed openly in the press by Williams; other team issues were handled internally. Why is that? Is Williams “old school” mentality coming through here? Is he singling out the young Harper in a “youngster hazing” way? Remember where Williams came from; the “grit is the way to win” Arizona Diamondbacks, who now have the worst record in the majors after a slew of trades and moves that were designed essentially to rid the team of players who couldn’t or didn’t get along with either the manager or the staff for some reason or another. I’ve touched on the topic of the Arizona methodology before; you just don’t trade away top 3 draft picks for 50 cents on the dollar because of a personality conflict and expect there to be no consequences. I believe the consequences are going to be a new manager and a new GM this coming off-season after Arizona loses 90+ games. Law correctly points out that you can’t have the “hustle” narrative both ways either: Harper cannot be simaultaneously a “lazy” player (as Williams went out of his way to state to the media) but then also be the same player who people thought needed to “slow down” and “play within himself” (as was oft-repeated all last year after he bashed his head in running into outfield walls). For me; I tend to believe that Harper is human; he was frustrated after an o-fer day, and didn’t run out a come-backer in a meaningless situation late in a game (like a thousand other major leaguers before him). I’m not sure if I’d lay the play that ended up with Harper’s injury on the manager (Law seems to intimate that Harper’s “over hustle” on that play was in reaction to his press bashing over the lack of hustle the week before), but many, many other players in this game would have just slowed up at 2nd, knowing they had cleared the bases, and not gone for the triple. Which player would you rather have? For better or worse, the team will now have plenty of time to think about it; Harper’s out for 2 frigging months. For those keeping score at home, we’re not even to May yet and we’ve seen the guys hitting 1st, 2nd, 4th and 5th from our opening day lineup now hit the D/L for various lengths. It bears repeating: Harper, despite being in his 3rd pro season, was STILL the youngest player in the majors on opening day. If he was sitting on Potomac’s roster right now, he’d be one of the youngest players in the league. I guess we all need to take a deep breath sometimes and be thankful for what Bryce Harper is, not what he isn’t. And get well soon…. this team’s offense is going to miss him badly.